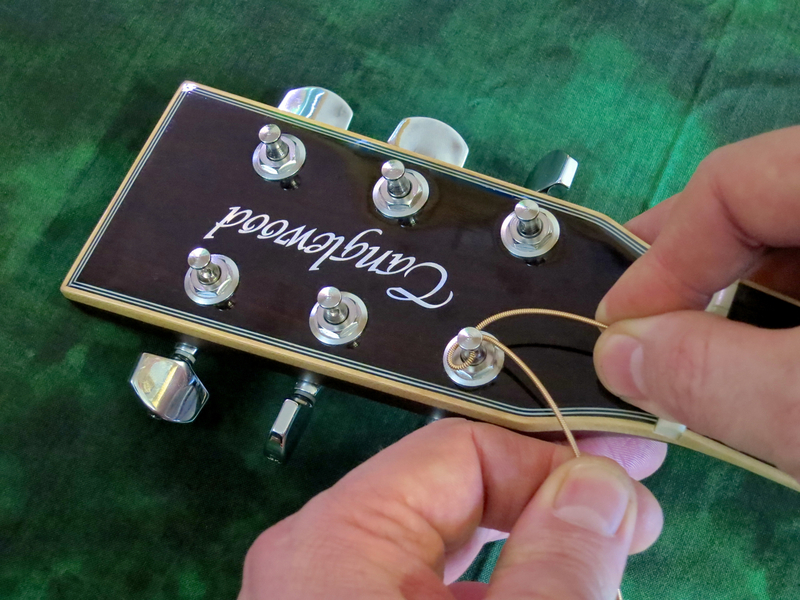 In addition to a fresh set of strings, you should have a wire cutter and a tuner at the ready. 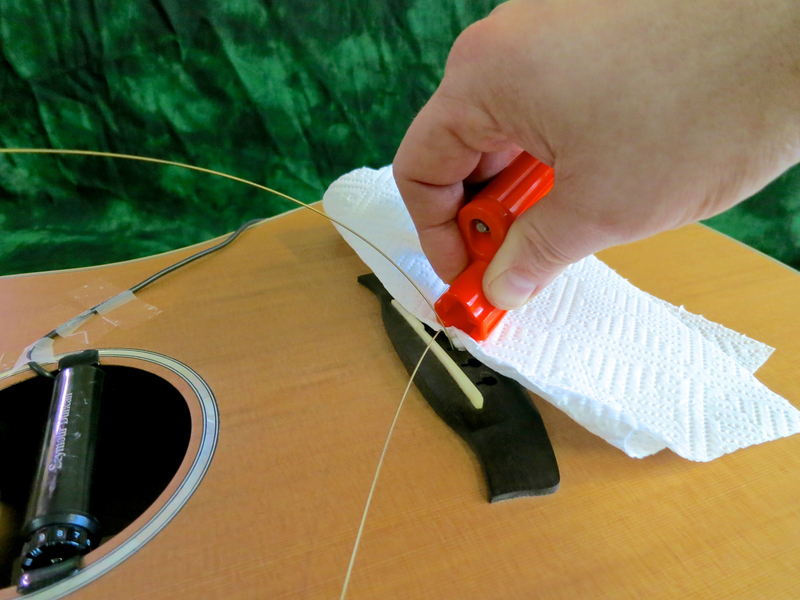 An inexpensive string winder makes the process much faster. A steel rule will come in handy, should you want to double-check your ”before” and ”after” setups. 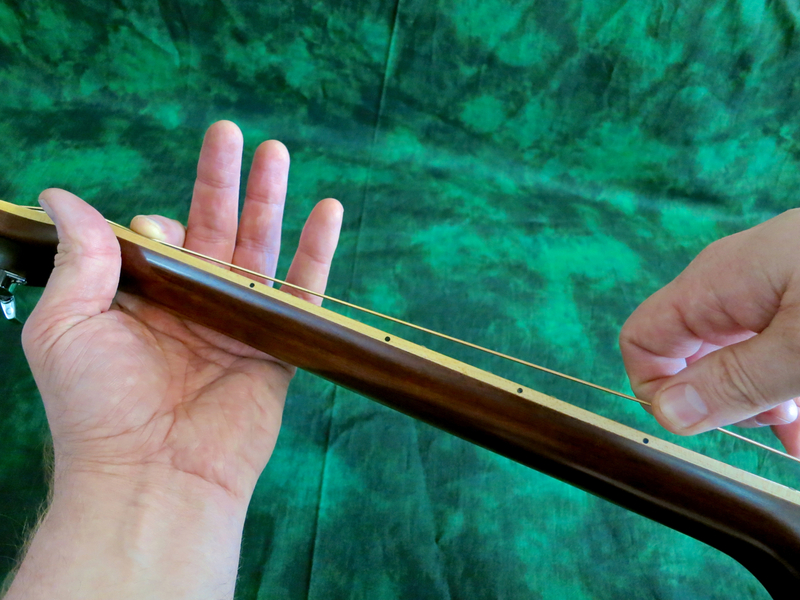 Measure your string height at the 12th fret (top of fret to bottom of string) before taking the old strings off. 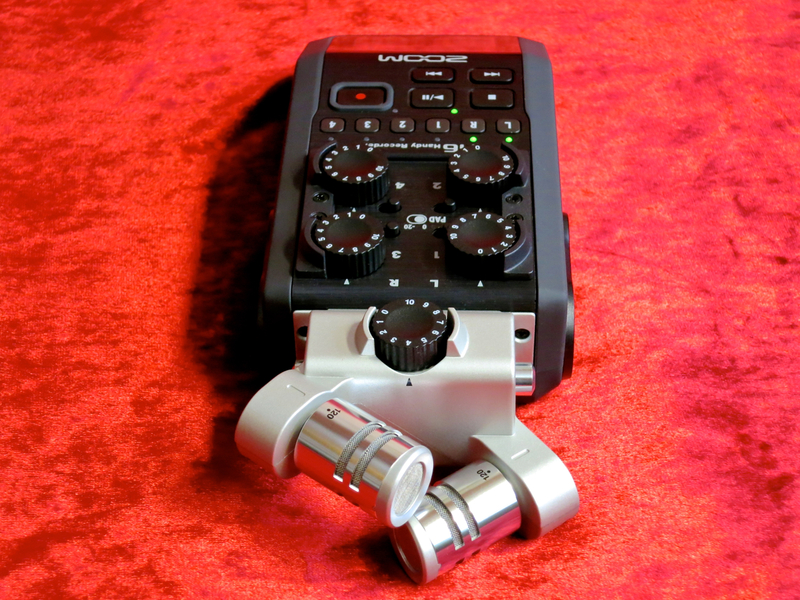 That way you will be able to use the steel rule to ascertain that your setup has stayed unchanged. Alternatively, you could also measure the neck relief at the seventh fret directly, by using a capo at the first fret, while pressing down the low E-string at the 14th fret. 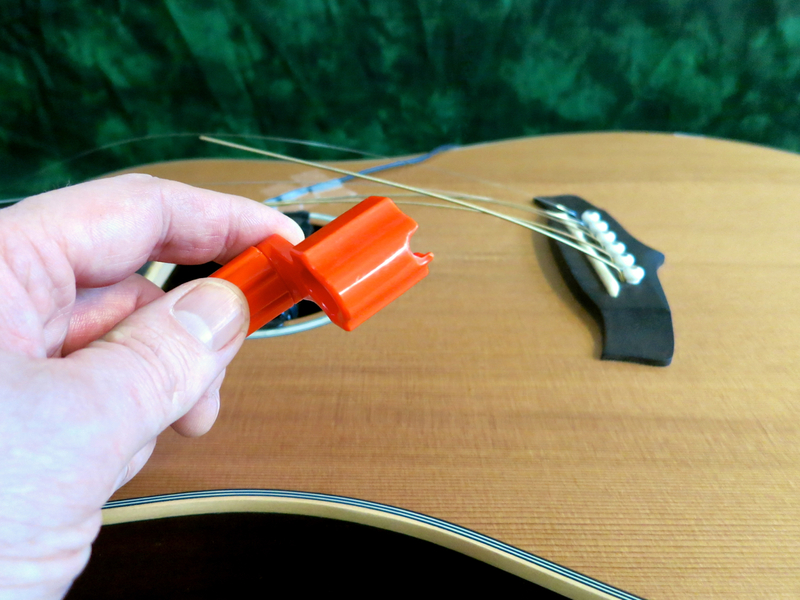 Ideally, though, you should stick to the exact same string gauge (and even string brand) to avoid inadvertently changing the playability of your acoustic guitar. I find it most convenient to take off all strings at once. There are some people who claim that taking all six strings off at the same time may cause damage to your instrument. 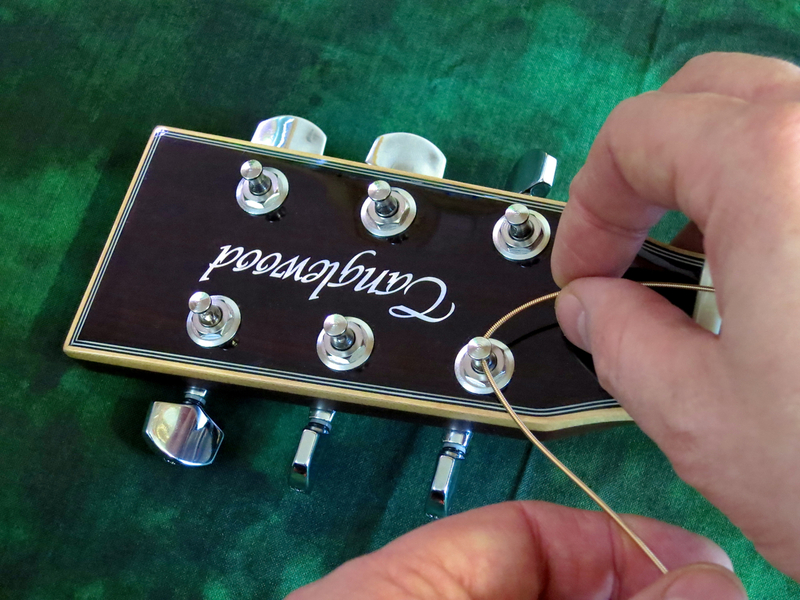 Let me tell you, I have been changing strings on steel-string guitars since 1977, always removing the whole set at once, and have never had any problems at all. Even Martin Guitars suggest you do it this way in their own video, and they should know! Once the strings are completely loose and flabby, I cut them in half. This isn’t something you must do, but I find the shorter lengths easier to handle, than having to deal with the whole string. 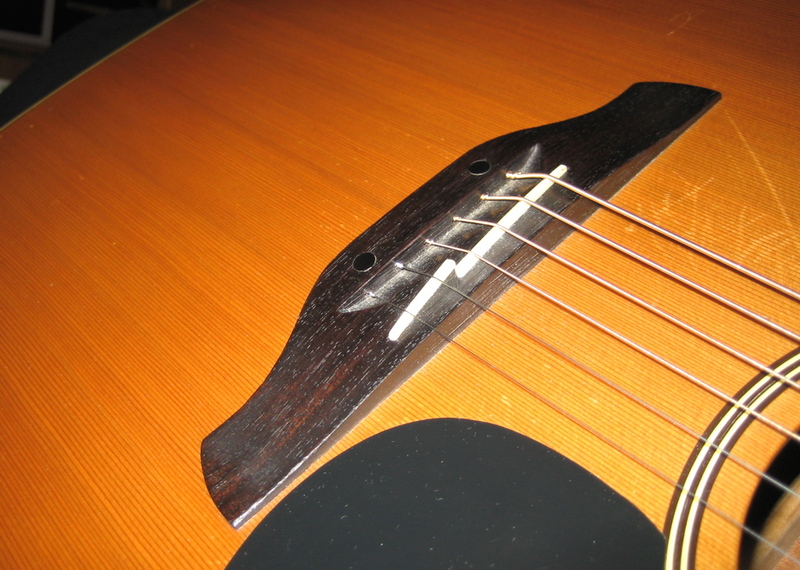 For the largest part, steel-string acoustics come with pin bridges. 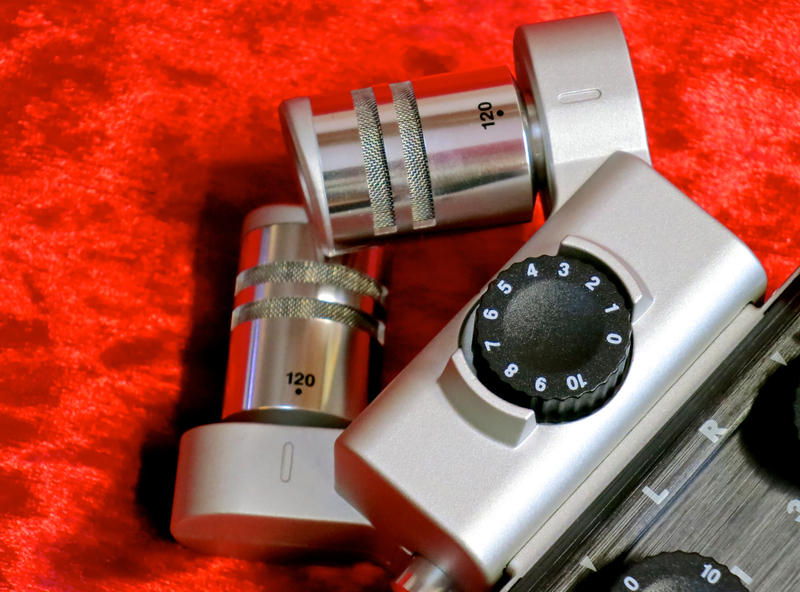 The bridge pins – made out of plastic, bone, wood or even metal – keep the ball-ends locked into place. Most string winders sport a small cut-out for lifting the bridge pins. I’d suggest, though, that you first try extracting the pins by hand, because, very often, the ball-ends have jammed the pins in place fairly tightly. Trying to pull them out directly might damage your string winder or the bridge pins, or, even worse, the bridge itself. Start by pushing the ball-end down (into the body) by a centimetre, or so. Usually, this is all that’s needed to unjam the bridge pin. If a pin really is stuck, and can’t be lifted out with your fingers, I’d strongly suggest using a piece of tissue paper (or a piece of cloth) as a cushion to protect the pin and the bridge’s surface. 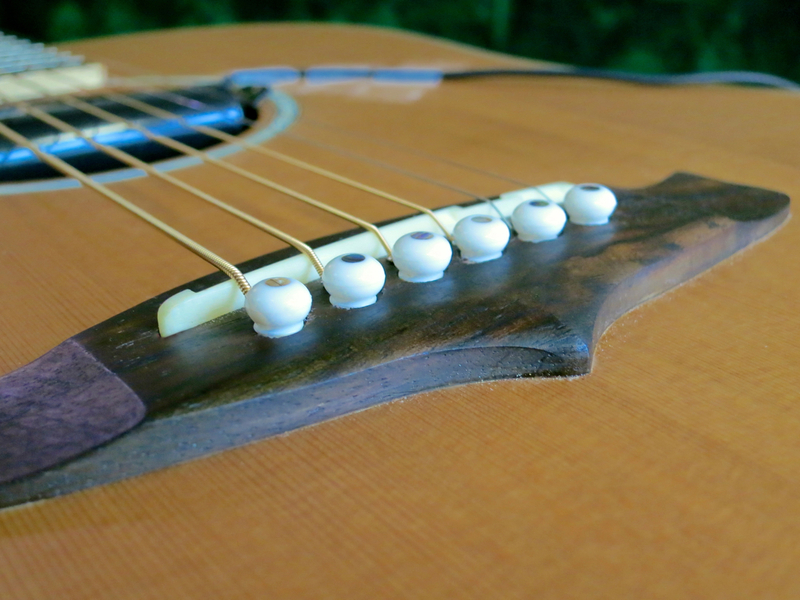 Some acoustic guitars come equipped with a pinless bridge – most notable Ovation and some Takamines. With these bridges, all you have to do is pull the ball-ends out of the back of the bridge. 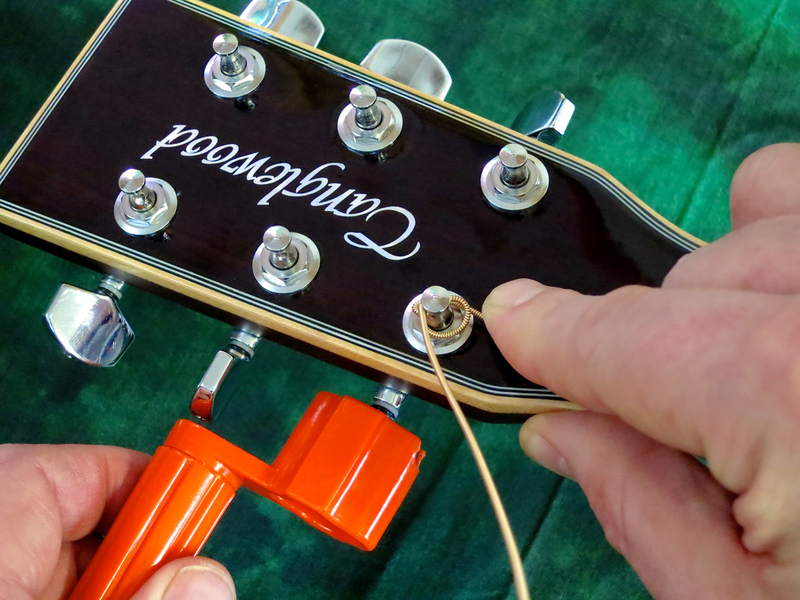 At the headstock end you have to untie the strings and take them off the tuner posts. If your guitar’s fretboard and/or bridge feel (or look) a little dry, now would be the perfect time for applying a little fretboard oil. 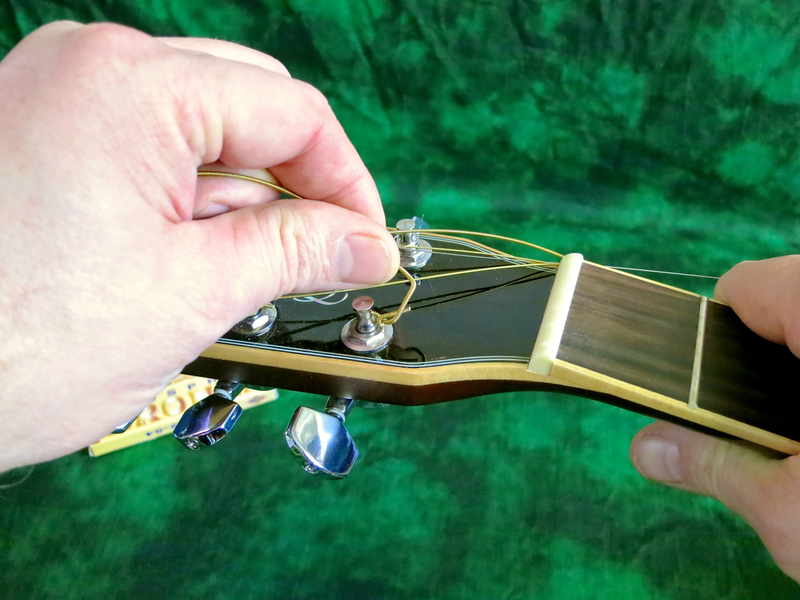 You start putting on a new string by feeding the ball-end into the appropriate bridge hole, while inserting the bridge pin. By pulling the string up a little, while holding the pin down, you will conveniently get the ball-end to jam the bridge pin in place. …and, finally, lock the string end in place. Keep the string pressed downwards, while you’re turning the crank. Each new winding should pass under the one before it. 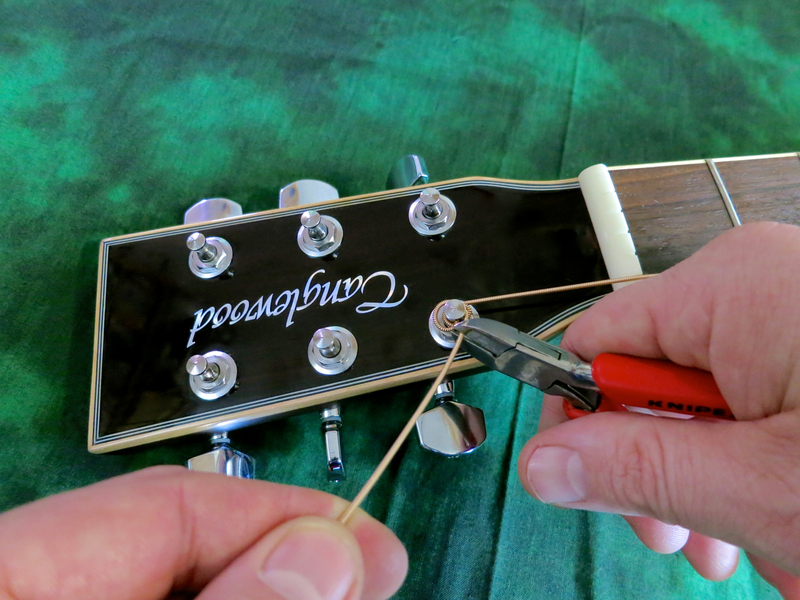 When the string starts getting taut, I move my hand from the headstock to the bridge, to make sure the bridge pin stays firmly in place. I’d recommend cutting off the surplus string in close proximity to the tuning post. Then I bend the stub down towards the headstock face. 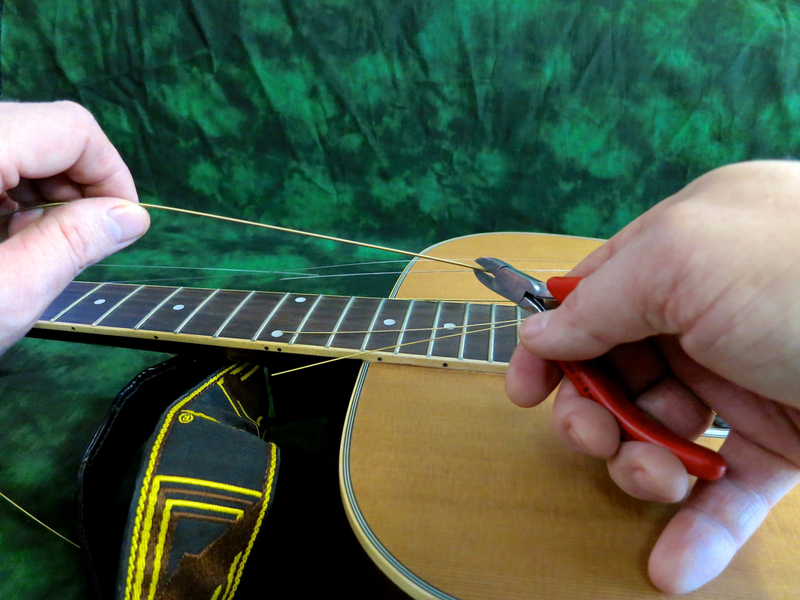 Be careful, a cut-off string is very sharp! 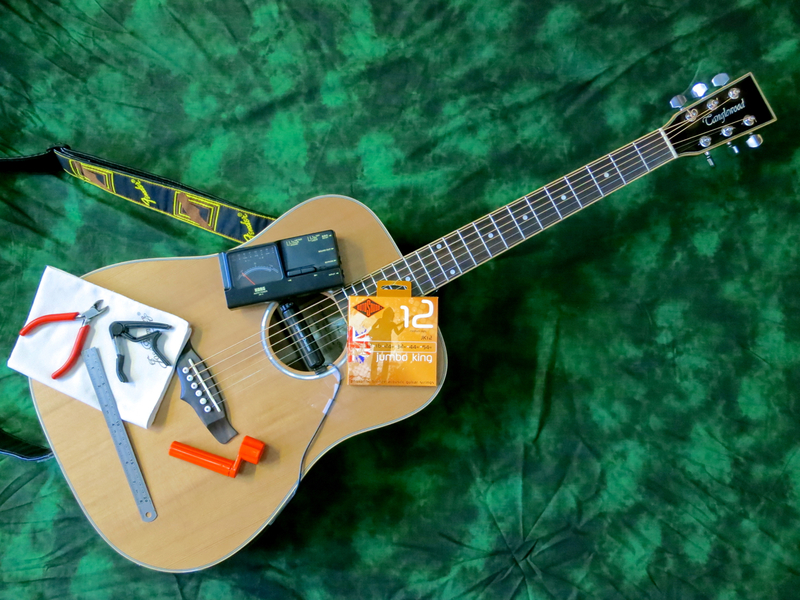 I put on the fresh strings in pairs, working my way away from the nut – first the two e-strings, then the pair of A and b, and lastly the D- and g-strings. This is what the result should look like at the headstock end. The bridge pins should sit at a uniform height above the surface of the bridge. 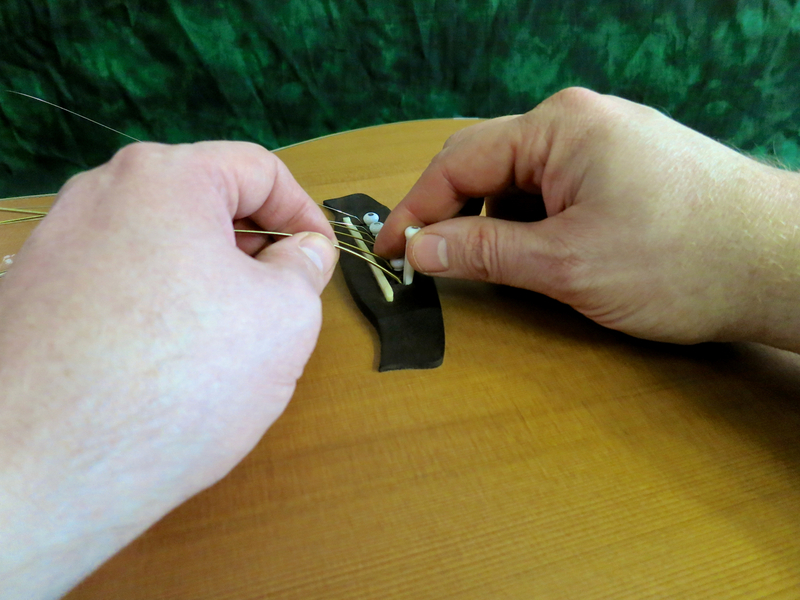 Getting new strings to stay in tune is a much faster process, if you stretch each string carefully. 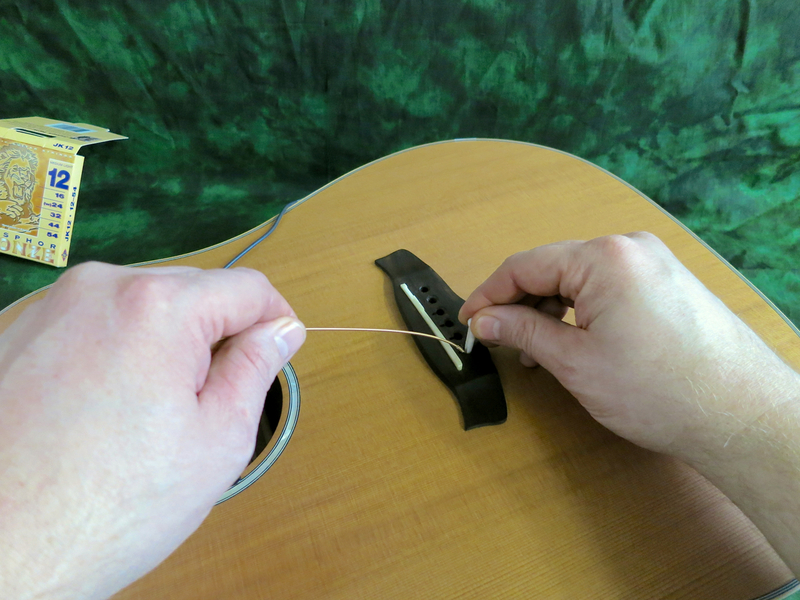 It works like this: First you tune to pitch, then you stretch each string, and retune again. Once you’ve repeated this process four to five times, you should be ready to go. 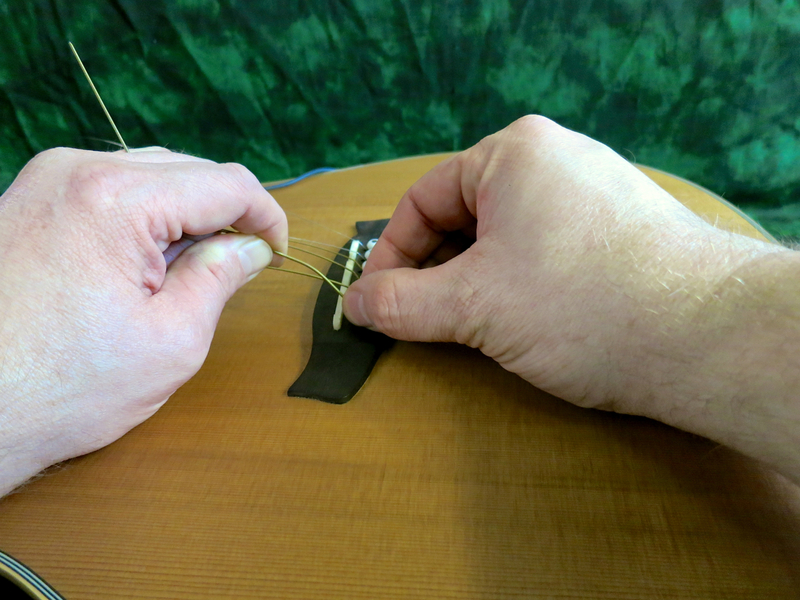 Your fretting hand should hold down the string you’re stretching at the first or second fret to avoid damage to the top nut. Once the guitar is in tune you could check the string action at the 12th fret and compare it with the values measured with the old string set. If the action is noticeably higher, chances are you’ve put on a heavier gauge set of strings. 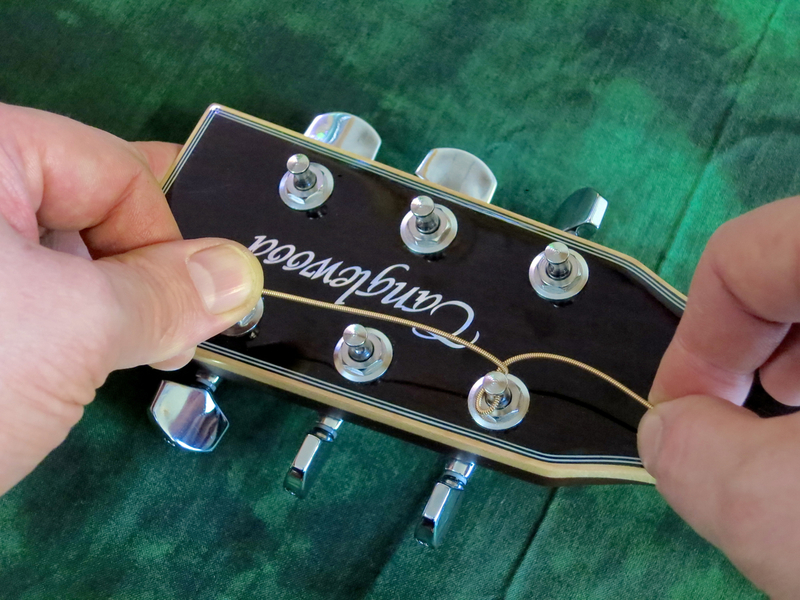 You need to compensate for the stronger string pull by tightening the truss rod (with the correct tool) by a quarter of a turn (or half a turn, at the most). 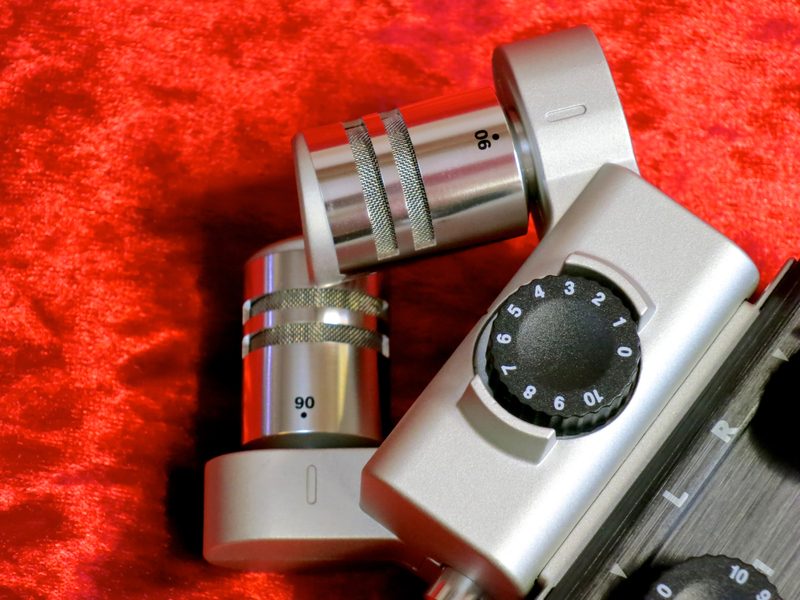 If the action is noticeably lower, chances are you’ve put on a lighter gauge set of strings. 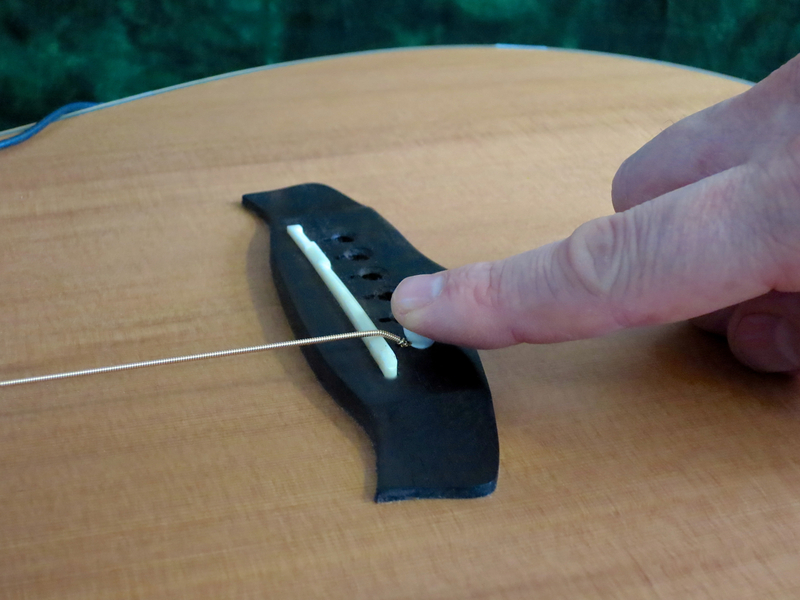 You need to compensate for the weaker string pull by loosening the truss rod (with the correct tool) by a quarter of a turn (or half a turn, at the most). 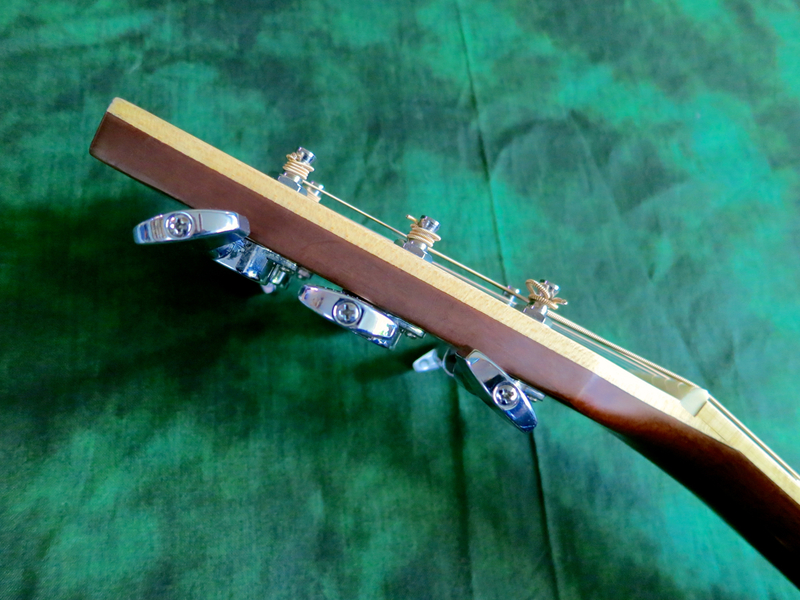 The truss rod is meant solely for neck relief adjustment. Even though adjusting the neck relief does have an impact on the action, string height adjustment isn’t really what the truss rod is meant for. 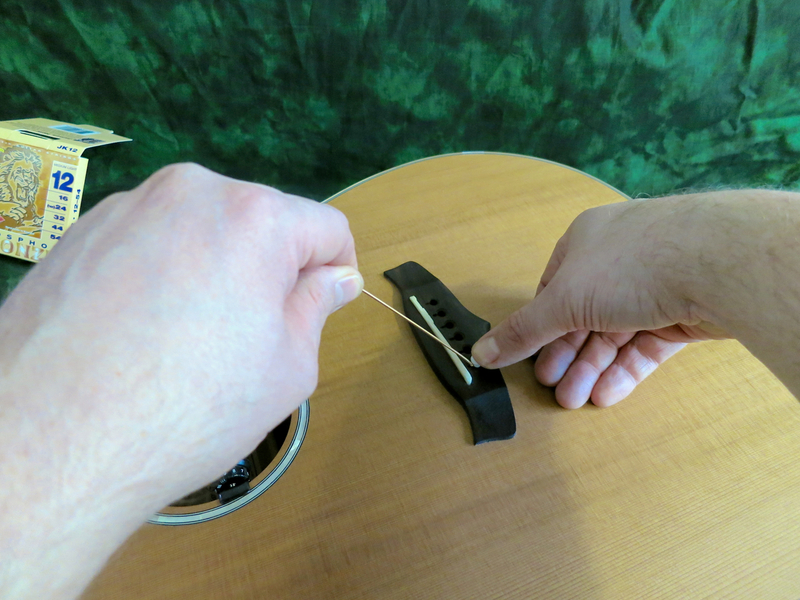 Adjusting the action on a steel-string acoustic is usually a job for a luthier, and is achieved by changing the height of the bridge saddle. 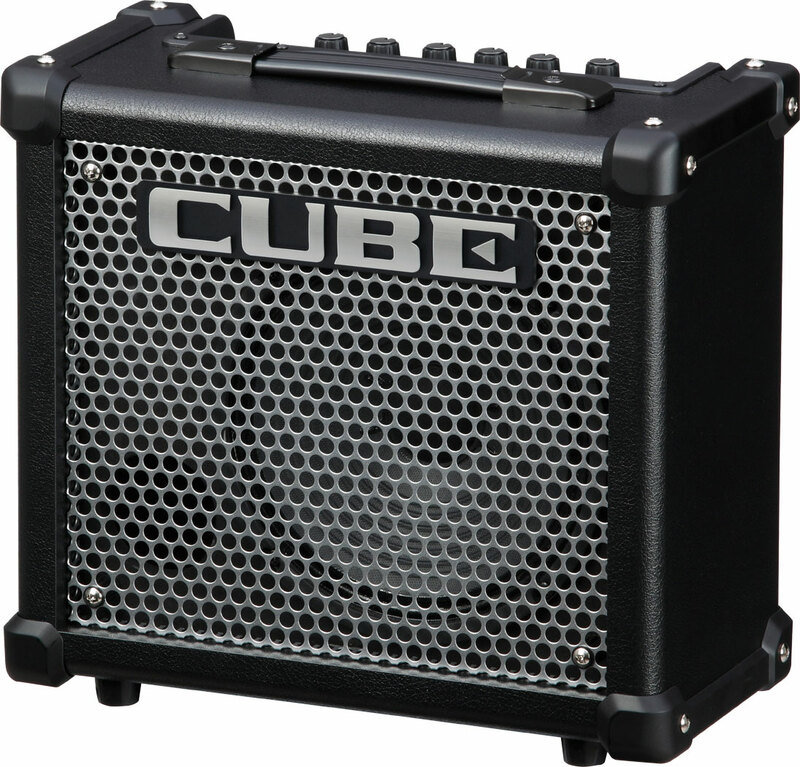 The new Roland Cube-10GX approaches the company’s popular Cube-concept from a slightly different angle. 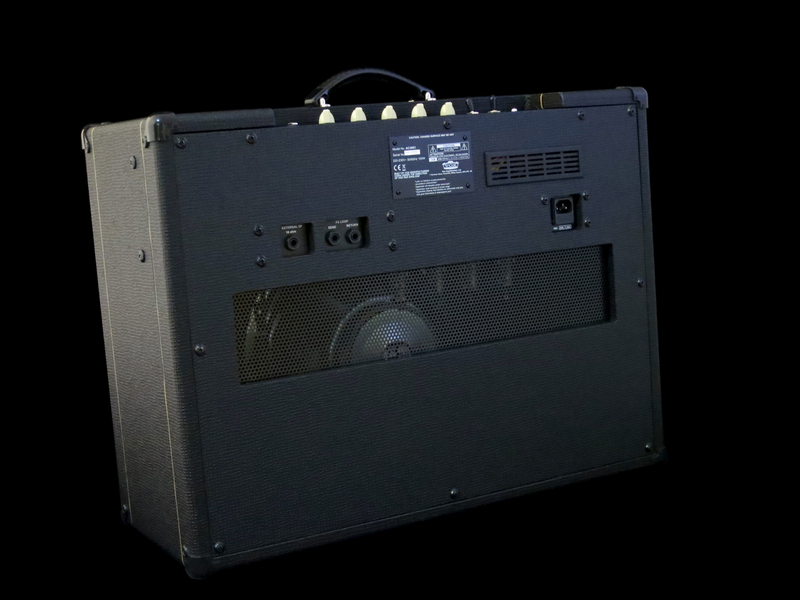 The 10-watt Roland Cube-10GX (Finnish price approx. 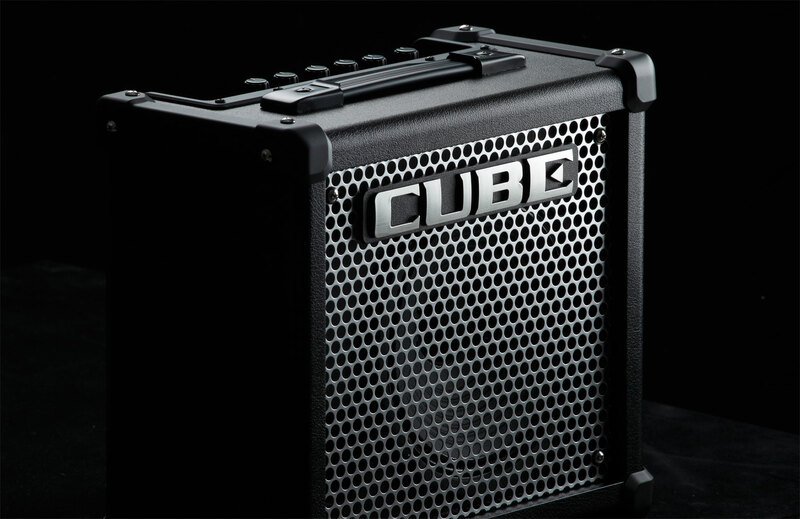 125 €) slots into the model range right between the 3-watt Micro Cube GX and the 20-watt Cube-20GX combo. Despite its very affordable price, the 10GX is built as sturdily as the larger Cube models, featuring chunky corner protectors, and the metal grille typical of this series. 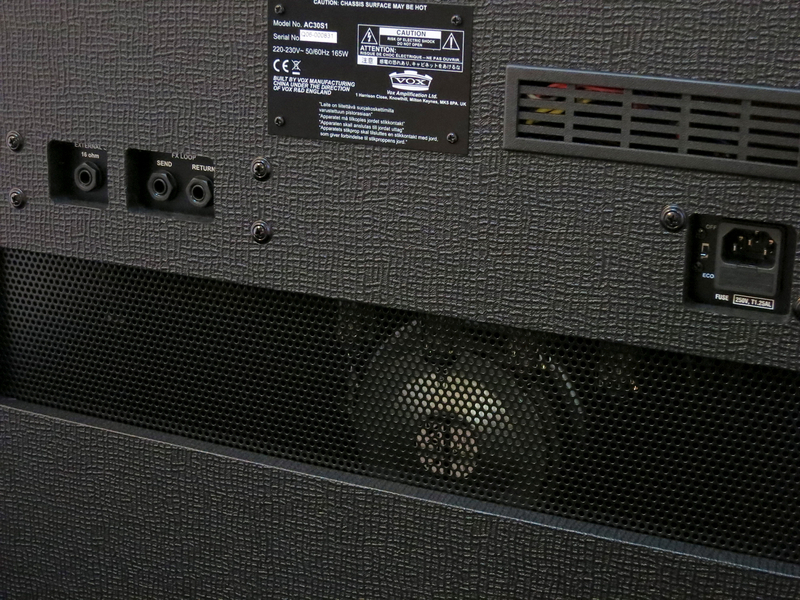 An eight-inch speaker has been installed into the closed-back, front-ported cabinet. 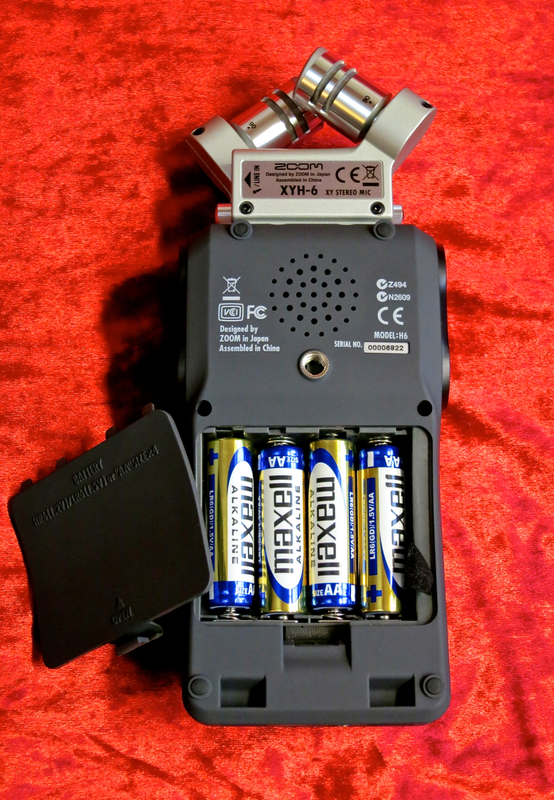 The backpanel sports connections for DC In (the PSU comes included), Aux In, as well as a combined line level output/headphones jack. 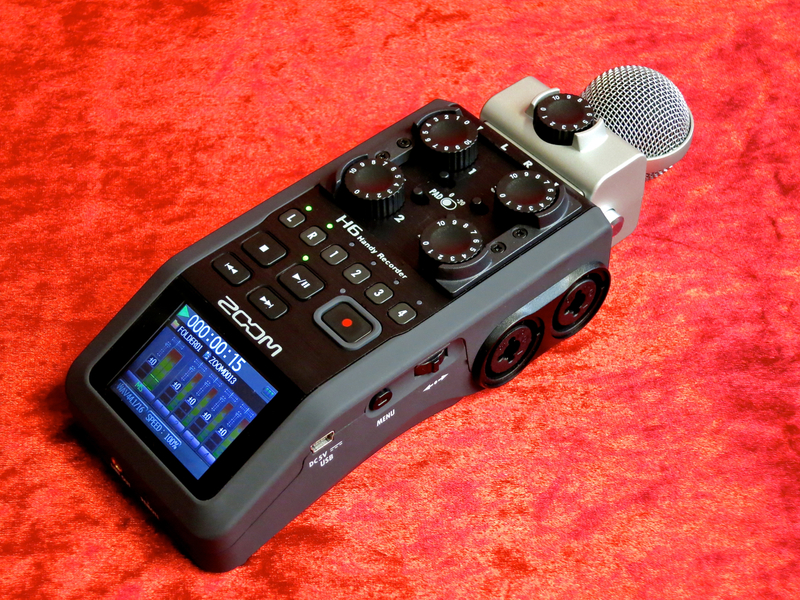 The 10GX doesn’t feature a built-in tuner or an i-Cube-Link, like the rest of the GX-models, but offers a much more open way of offering its COSM-generated amp models. 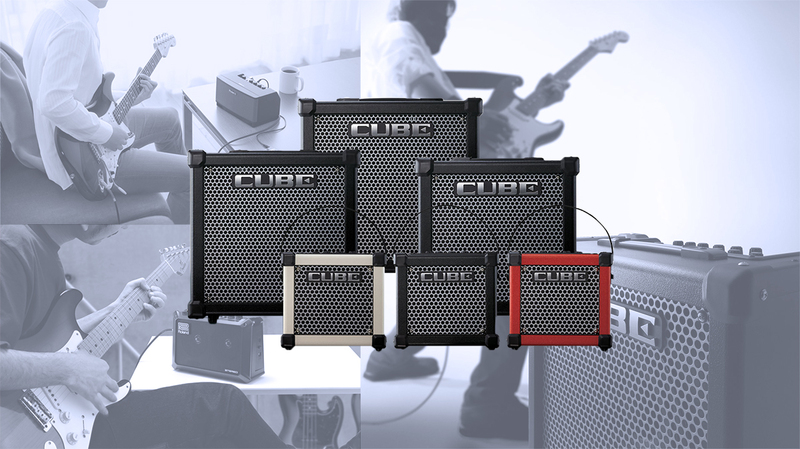 The Cube-10GX lets you choose from a number of different amp models via the new Roland Cube Kit app (Android and iOS). 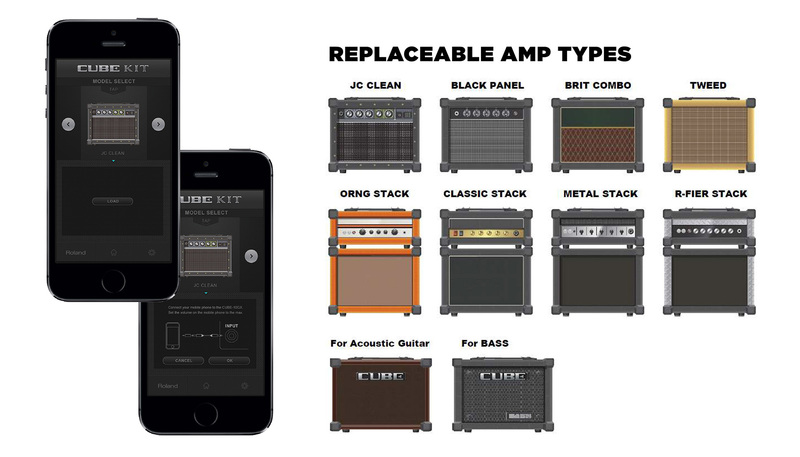 At the moment of writing the app offers eight guitar amp models, plus one bass amp and one amp for acoustic guitar. 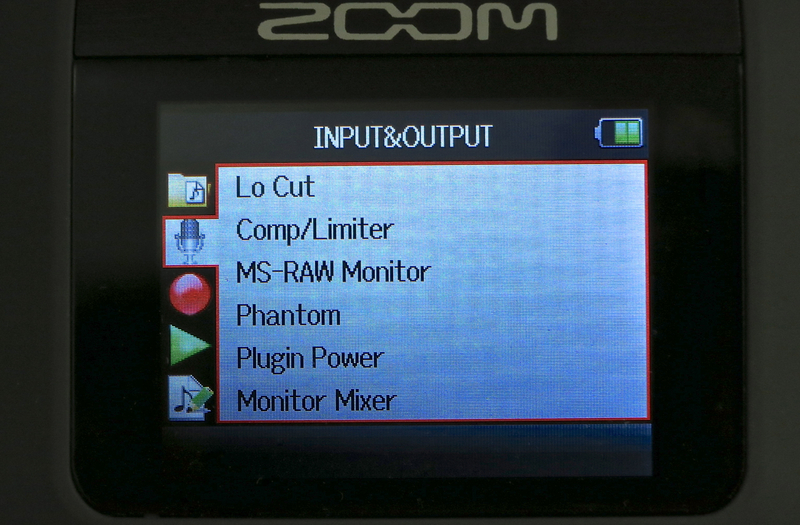 Despite the fact that the control panel reads ”Clean”, ”Crunch” and ”Lead”, you can load any of the COSM amp models on offer into any of the amp’s three channels. 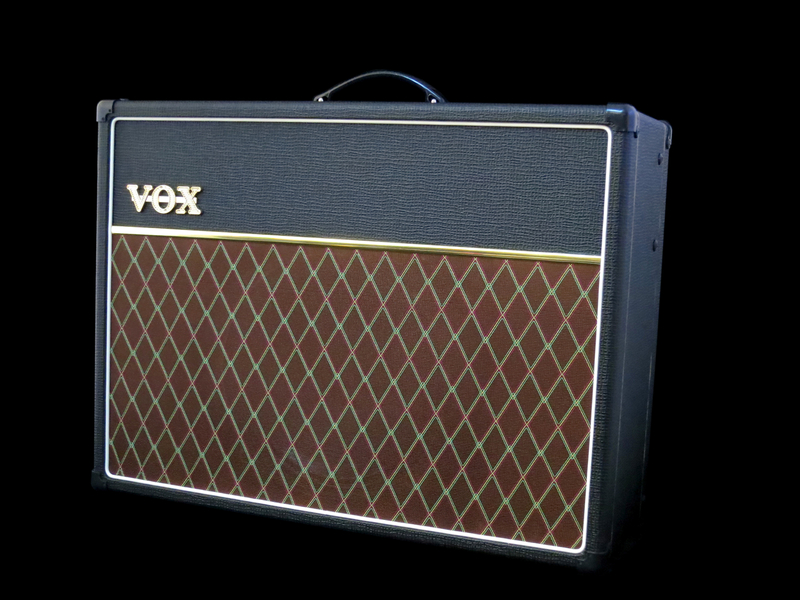 If you’re a Jazzer, for example, you might prefer to use only clean amps, like Acoustic, JC Clean and Black Panel. Let me deal with the ”bad news” first: Sadly, the Cube-10GX offers only a single effect section, in contrast to all the other Cube GX -combos. 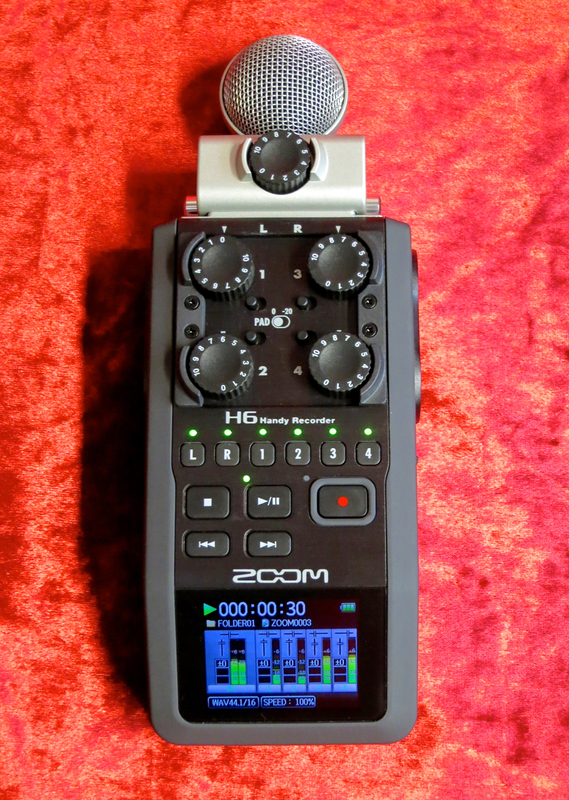 The 10GX gives you the choice between either a chorus or a delay or a hall reverb or a (very wet) spring reverb. And there are no effect combinations on offer. 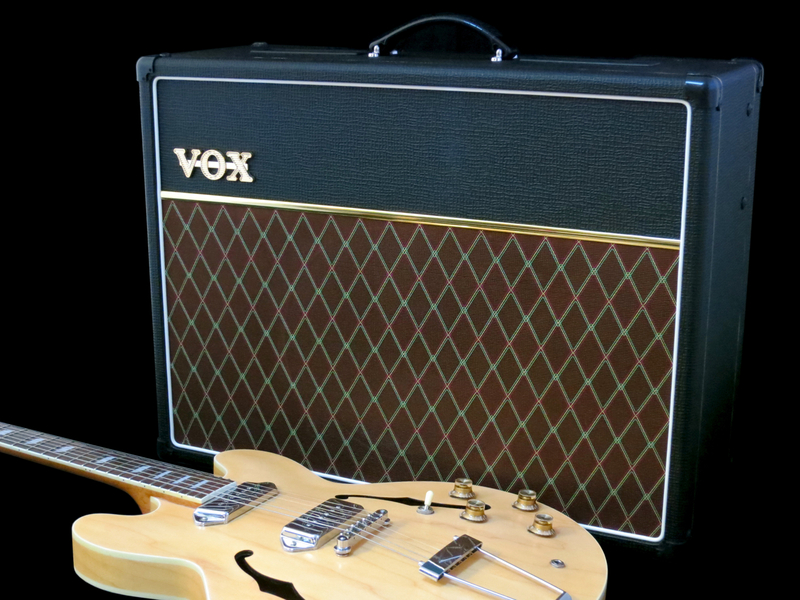 The new combo’s main focus lies in the easy-to-swap amp models, and improvements in the sound of both the amp and the COSM-models. For a 10-watter the Cube-10GX is surprisingly loud. 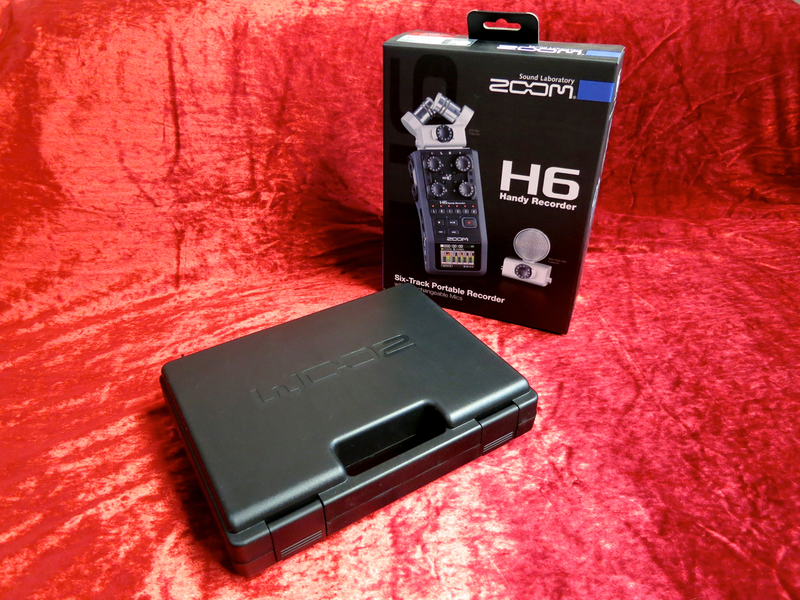 Thanks to its much larger speaker the new combo sounds much fuller and more grown up than the Micro Cube. 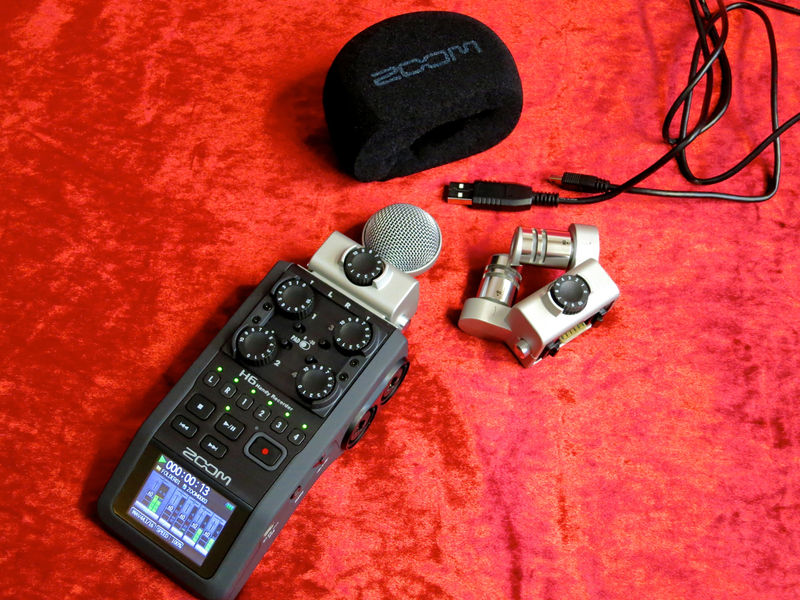 The updated COSM-models sound noticeably more transparent and fresher, without any additional background hiss or noise. 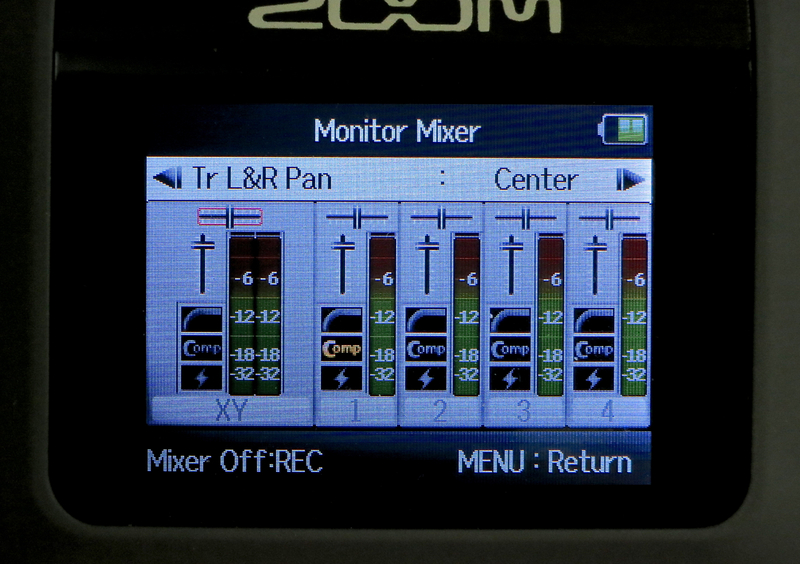 The 10GX’ well-designed three-band EQ section lets you tailor the sound to your requirements. 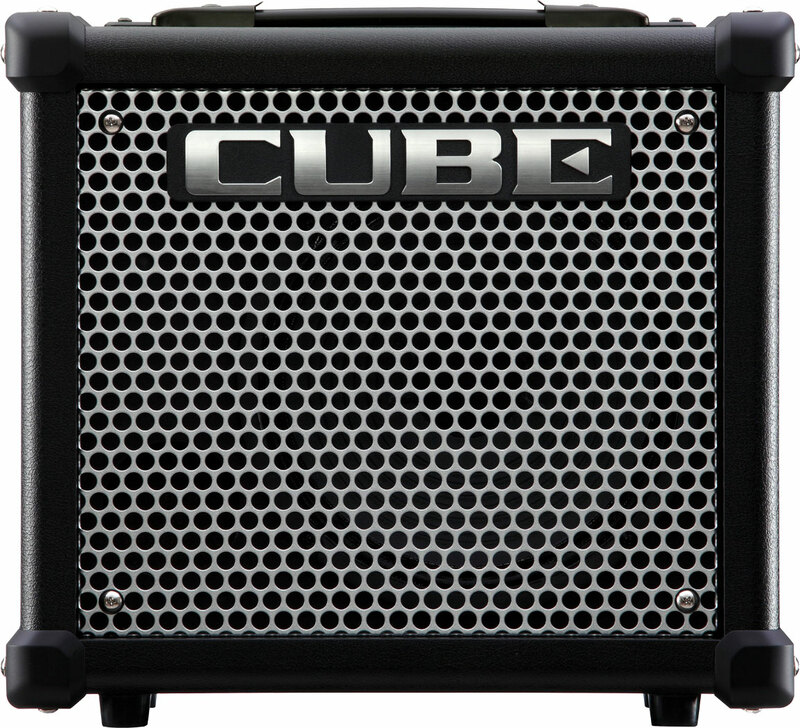 Loading a new amp model into one of the Cube-10GX’ channels via the Cube Kit app is fast and easy, and doesn’t require any special cables. 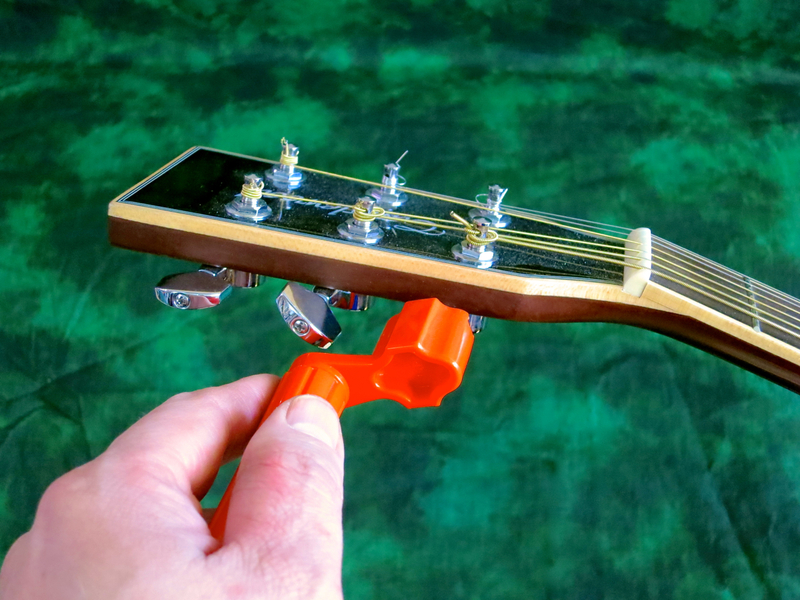 You only need a fitting mini-jack adapter to hook up the guitar lead to your smartphone (or tablet). 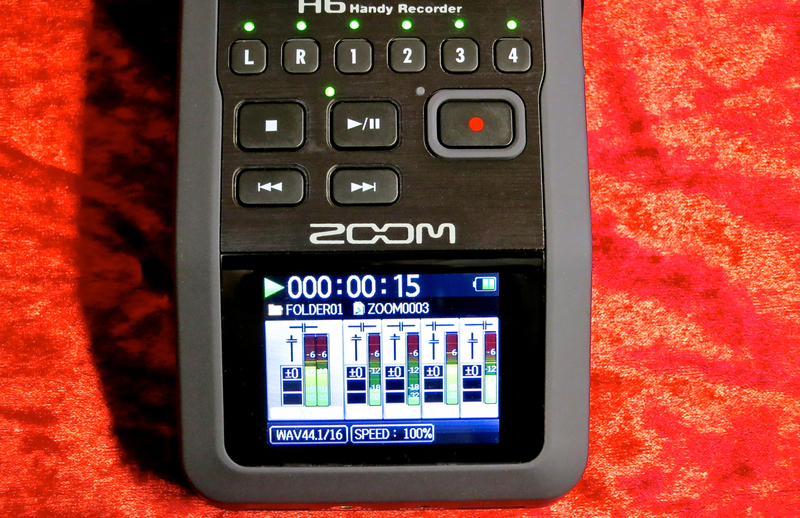 All the necessary data is then transmitted from the Android- or iOS-device to the amp via the guitar cable. The whole process takes only a few taps and a couple of seconds. 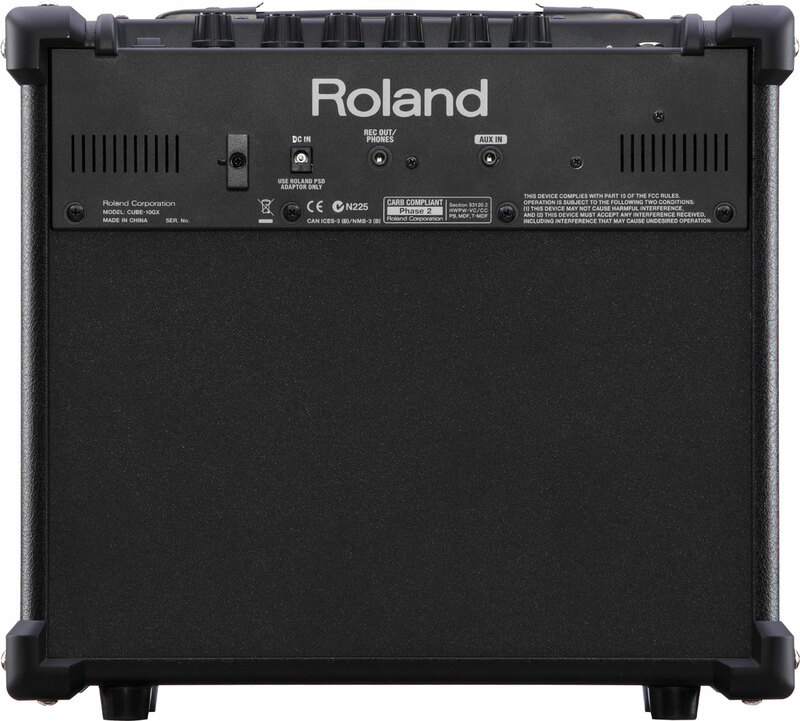 Roland’s Cube-10GX (and the cool Cube Kit app) makes it possible to turn this little combo into the amp you really need. 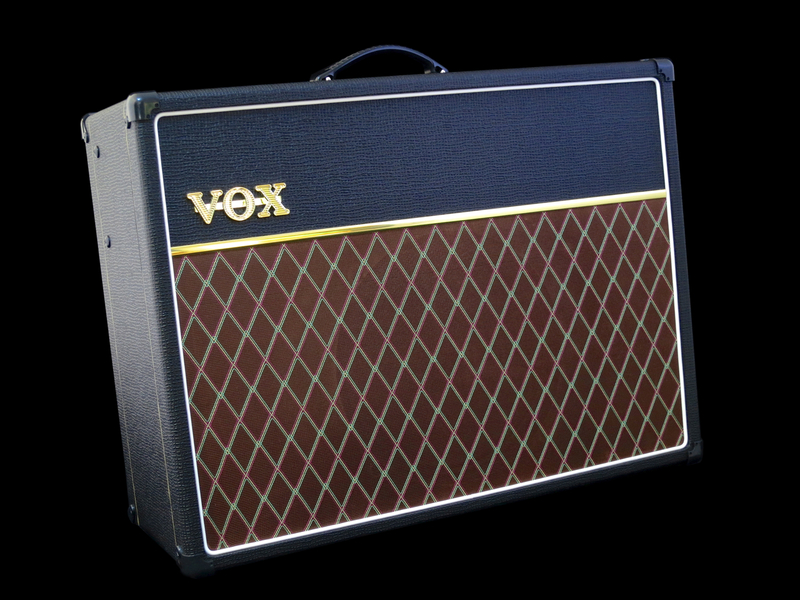 A Blues player will probably load his (or her) Cube-10GX with the Black Panel-, Brit Combo-, and Tweed-models, while a Metal guitarist will prefer the chunkier COSM-models on offer (like the Classic-, Metal- and R-fier-stacks). 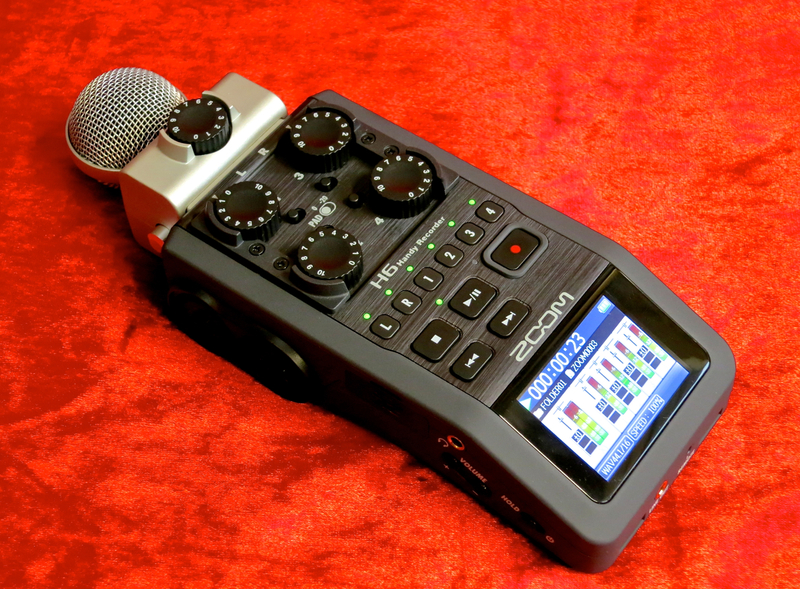 The Cube-10GX sounds great and is a real little shouter. 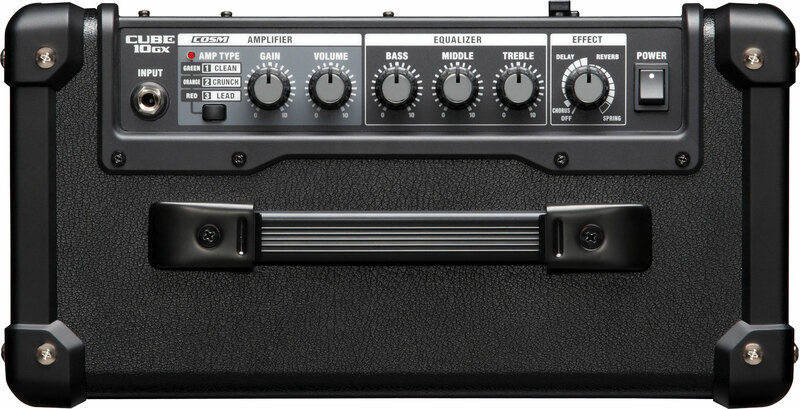 Despite offering fewer built-in effects than the rest of the GX-range, the Roland Cube-10GX still offers a lot of fun at a very competitive price. Hiljattain ilmestynyt Roland Cube-10GX on Cube-perheen uusin jäsen, joka lähestyy firman suosittua Cube-reseptiä hieman toiselta kulmalta. 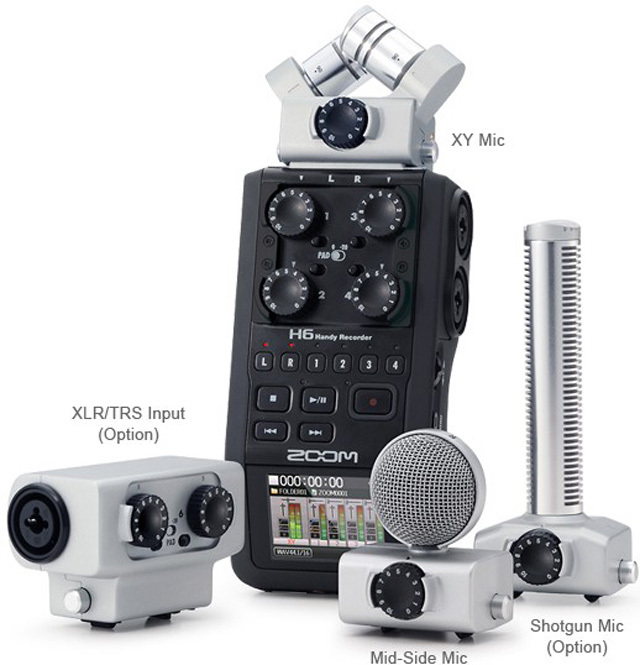 Kymmenwattinen Roland Cube-10GX (hintaluokka 125 €) asettuu vahvistinteholtaan kolmiwattisen Micro Cube GX:n ja 20-wattisen Cube-20GX-kombon väliin. Kymppi-GX on edullisesta hinnastaan huolimatta samaa vankkaa tekoa kuin sen isot veljeksiä. Reilunkokoiset kulmasuojat ja Cube-sarjalle tyypillinen metalliritilä suojaavat kombon tehokkaasti monilta kolhuilta. Koteloon on asennettu kahdeksantuumainen kaiutin. Takapaneelista löytyy virtaliittimen (verkkolaite kuuluu hintaan) lisäksi aux-tulo, sekä yhdistetty kuuloke- ja linjalähtö. Muiden GX-kombojen viritysmittarit ja i-Cube-Link-lähdöt puuttuvat tästä mallista, mutta niiden tilalle uudessa Cubessa tarjotaan huomattavasti avoimempi rakenne COSM-vahvistinosiossa. Cube-10GX tarjoaa nimittäin uuden Roland Cube Kit -appsin kautta (Android ja iOS) kitaristeille mahdollisuuden valita ja vaihtaa oman Cuben COSM-mallinnuksia oman maun ja käyttötarpeen mukaan. Tällä hetkellä Cube Kitistä löytyy kahdeksan sähkövahvistinmallia, yksi vahvistinmalli mikitetylle akustiselle kitaralle, sekä yksi bassovahvistin. Vaikka kombon etupaneelissa lukee sen kolmen kanavapaikkojen kohdalla Clean, Crunch ja Lead, käyttäjä saa valita appsin kautta vapaasti kanaviin juuri niitä COSM-malleja, joita hän itse haluaa – vaikkapa vain puhtaita vaihtoehtoja, kuten Acoustic, JC Clean ja Black Panel. Kerron sen ”huonon uutisen” ensin: Olisin kernaasti nähnyt myös uudessa Cube-10GX-mallissa kaksi efektiosastoa, niin kuin esimerkiksi Micro Cube GX:ssä! Kymppi-GX-kombossa voi valita joko choruksen tai viiveen tai kaiun tai (reilusti annostetun) jousikaiun, eikä yhdistelmäefektejä ole tarjolla lainkaan. 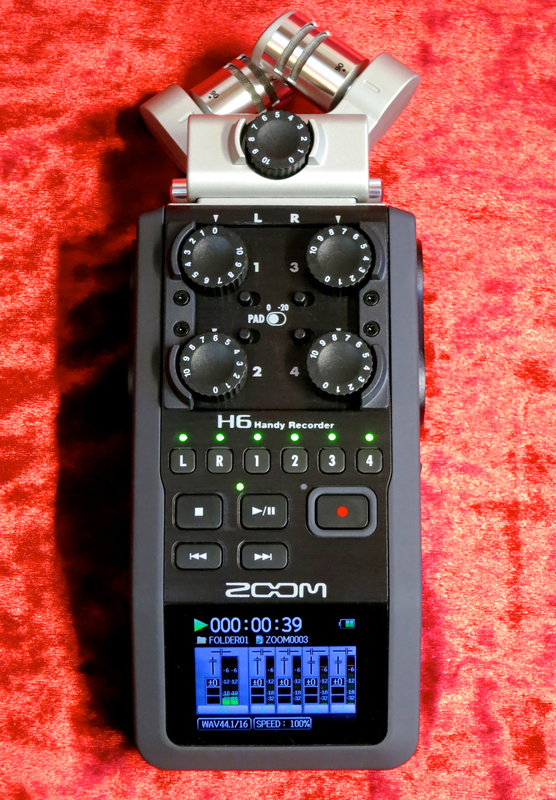 Uutuuskombon painopiste on siis selvästi vahvistimen soundissa ja entistäkin parannetuissa COSM-mallinnuksissa. Cube-10GX on yllättävän äänekäs vahvistin 10-wattiselle kombolle, ja sen kahdeksantuumaisen kaiuttimen ansiosta tämän Rolandin yleissoundi on paljon syvempi ja aikuisempi kuin esimerkiksi Micro Cubessa. Uudistetuissa COSM-malleissa on myös selvästi rapeampi, erottelevampi soundi, ilman lisättyä kohinaa. 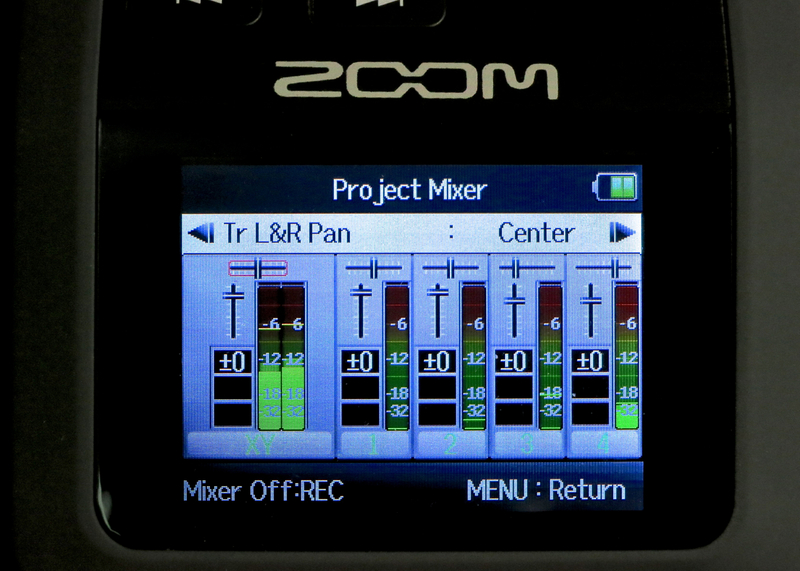 Kymppi-GX:n musikaalisesta kolmialueisesta EQ:sta on todella paljon apua soundien muokkaamisessa. 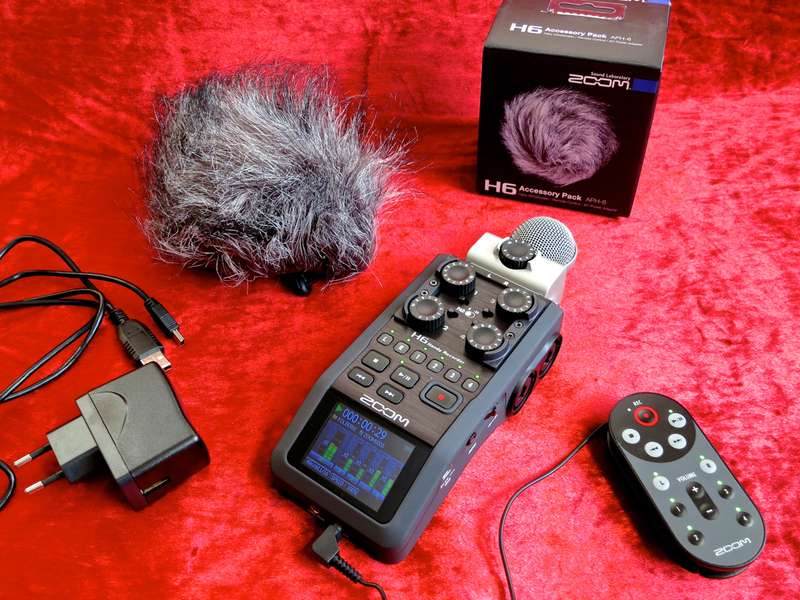 Soundien vaihtaminen Cube Kit -appsilla onnistuu erittäin helposti ja – mikä on parasta – täysin ilman erikoisjohtoja. Tarvitaan vain puhelimen (tai tabletin) ja kitarajohdon väliin sopiva kuulokeadapteri, jolla saadaan ohjelman dataa kulkemaan Android- tai iOS-laitteen kuulokelähdöstä kitarajohdon kautta Cube-10GX:een. Muutama täppäys vaan ja valitun kanavan COSM-malli on vaihdettu uuteen. Rolandin Cube-10GX tarjoaa firman oivan Cube Kit -appsin ansiosta jokaiselle kitaristille juuri sen vahvistimen, jonka hän tarvitsee ja haluaa. Bluesmies (tai -nainen) voisi esimerkiksi ladata kymppi-GX:n kolmelle kanavapaikalle Black Panel-, Brit Combo-, sekä Tweed-mallit, kun taas rankan musiikin ystävä voi tehdä pikkustyrkkarista metallimusiikkiin erikoistuneen koneen (esimerkiksi valitsemalla Classic-, Metal- ja R-fier-stäkit). Cube-10GX:stä lähtee niin paljon – ja etenkin niin laadukasta – ääntä, että tämän kombon (muihin GX-malliin nähden) supistetulla efektivalikoimalla ei ole mielestäni oikeastaan niin paljon väliä. Roland Cube-10GX tarjoaa todella paljon vahvistinta edulliseen hintaan. 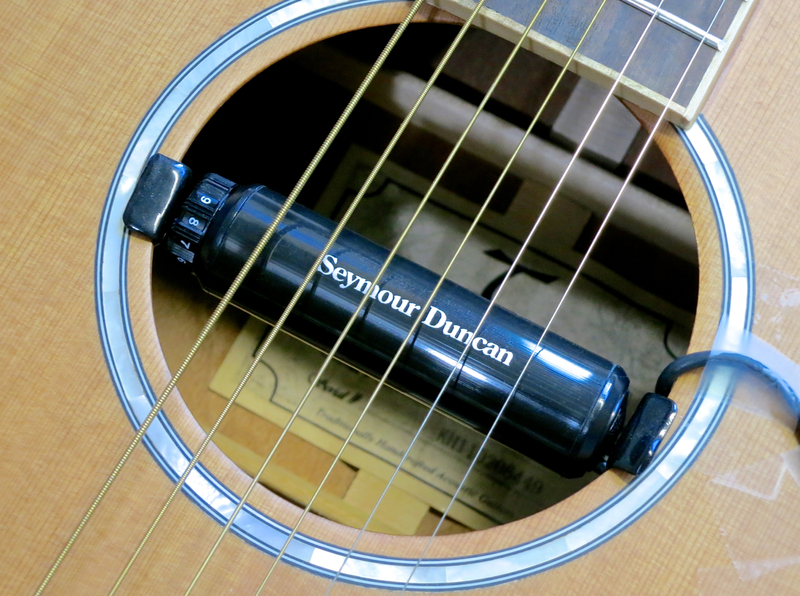 Seymour Duncan SA-1 Acoustic Tube in action! SA-1 on humbuckermikki kahdella päällekkäisillä keloilla (ns. stack-rakenne), jolla on sisäänrakennettu volume-säädin. Pidän siitä, että Acoustic Tube -mikrofonilla on vain lyhyt johto, joka loppuu laadukkaan jakkiin. Jakkia voi kiinnittää esimerkiksi kitarahihnaan, ja sitten voi käyttää tavallista kitarajohtoa SA-1:stä DI-boksiin, mikseriin tai akustiseen vahvistimeen. Parasta tässä mikrofonissa on kuitenkin sen soundi, joka on yllättävän luonnollinen, kun ottaa huomioon, että kyseessä on suhteellisen edullinen, pelkästään magneettisesti toimiva mikki. 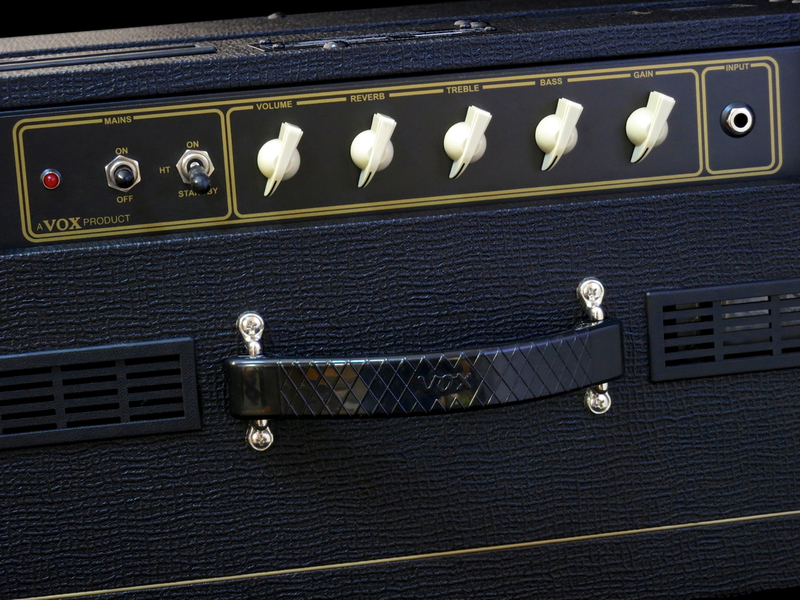 The SA-1 is a stacked humbucker pickup featuring a built-in volume control. 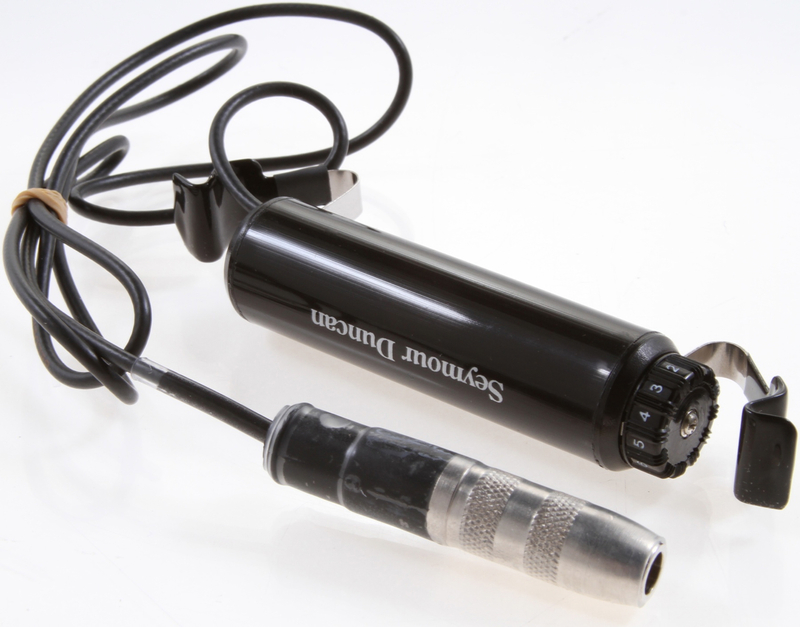 I like the fact that Duncan’s Acoustic Tube comes with only a short pickup lead that ends in a high-quality phone jack. 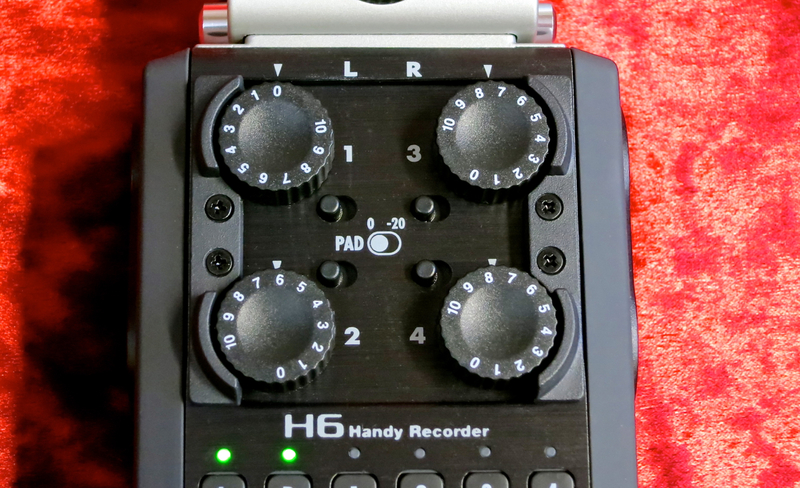 You can tape the jack to your guitar strap and then run a normal guitar cable from the SA-1 to your DI Box, mixing console or acoustic amplifier. 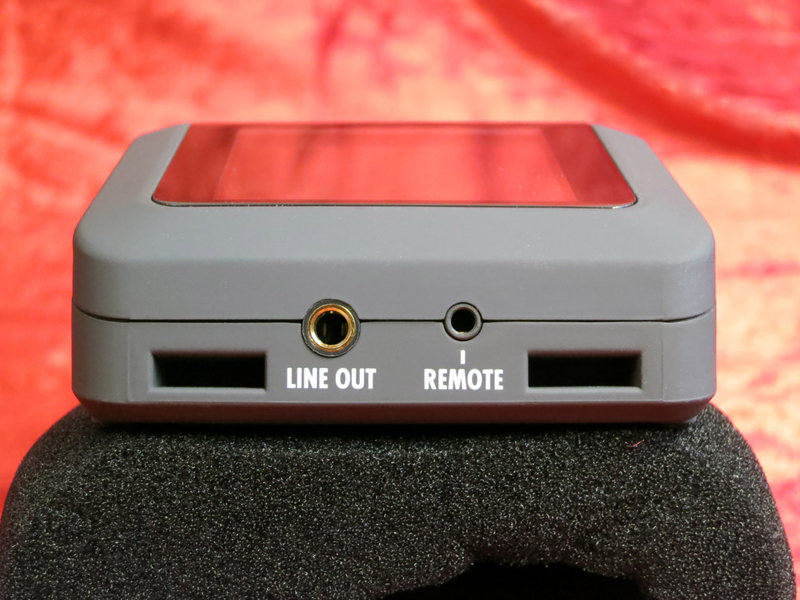 The best thing about this soundhole pickup is its sound, though, which is very natural and offers plenty of sparkle – especially considering that the SA-1 is a relatively affordable, purely magnetic pickup. 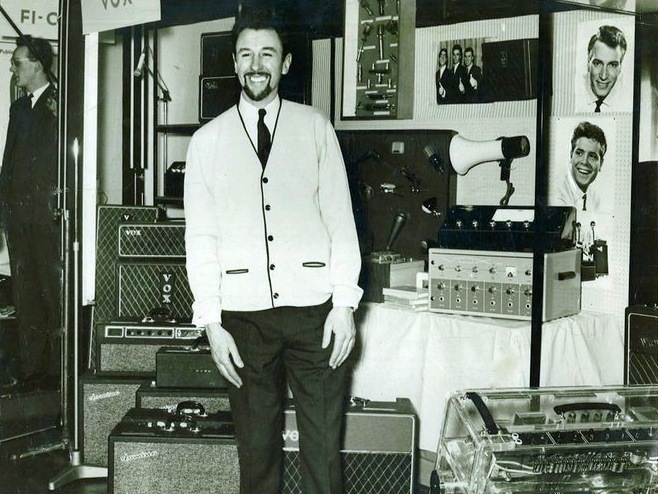 Seymour Duncan products are distributed in Finland by Musamaailma.